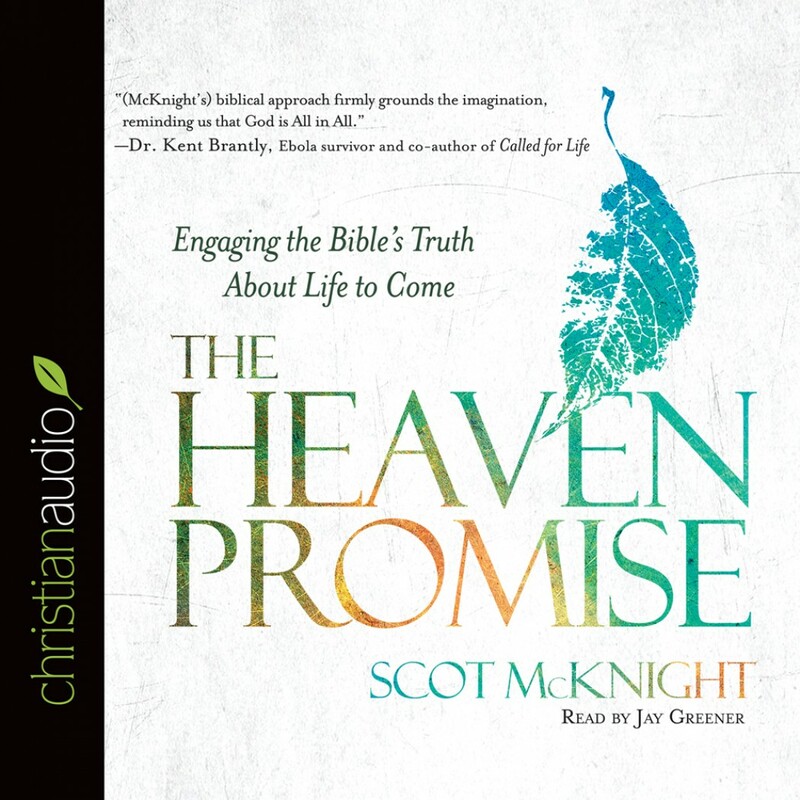 The Heaven Promise By Scot McKnight Audiobook Download - Christian audiobooks. Try us free. For far too long, we’ve talked about heaven as if it were a dream or someplace that only exists in fairytales. We want to believe it’s real, but with such an expanse of contradictory information, it’s difficult to know what to believe. To add even more confusion, we are left to sift through the tales of individuals who have crossed over and returned. With so many competing narratives and accounts based on what many think are beyond-death experiences, wouldn’t it be nice to have a straight forward examination of what the Bible has to say about heaven? Best-selling author and New Testament scholar Scot McKnight thought so too, which is why he wrote The Heaven Promise. McKnight, who has penned more than 50 books, including The Jesus Creed, has had a fascination with heaven since he was a child. As a professor of New Testament at Northern Seminary, McKnight is no stranger to academic engagement and scholarly discourse. However; as an ordained deacon, McKnight is well accustomed with the concerns of the everyday thinker. The Heaven Promise represents the perfect blend of thoughtful research coupled with an easily digestible presentation. The Heaven Promise offers an infusion of hope alongside a healthy anticipation of eternity. After all, heaven isn’t just a dream; it’s a promise. Heaven. Eternity. The Afterlife. You mention any of these concepts, and people of all ages and from all walks of life are certain to have opinions. Maybe that’s why there are so many books and movies that feature heaven-and-back experiences. But how can we know if those accounts are accurate? Separating fact from fiction, McKnight helps the reader examine the witness of God’s Word in order to discover what awaits us on the other side of the grave. Heaven isn’t the construction of a fairytale or some mythical narrative. It’s very real; it’s very good; and it’s very much the fulfillment of God’s promise to us.